Tagged administrative bloat, branding, Kyle Henley, Tobin Klinger. Bookmark the permalink. 6 Responses to New VP for Comm Kyle Henley to represent UO, or just the Ducks? Interesting move. 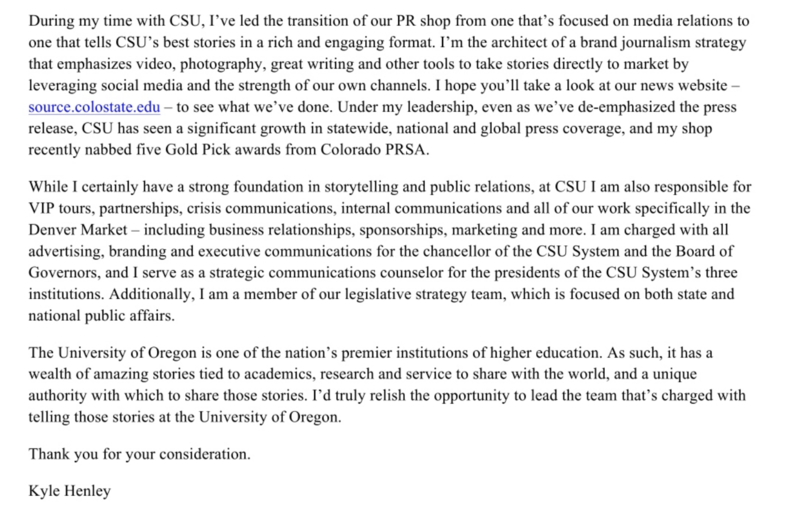 Schill appears to be doing two things right: First, elevating communications to the VP level (thus getting it out from under Advancement and into a better position to directly and clearly advise the President on public outreach); and second, hiring a communications person with a solid background in journalism as well as PR. This should help repair our frayed relationship with the press. The damage from the UO’s missteps in recent years have been compounded by dismal media relations. Best of luck to Mr. Henley! Anyone who thinks the President is driving these organizational changes might want to re-think what is actually happening. The guy just got here and doesn’t even know what he has got himself into yet. He is just the Board’s puppet for now until they get him trained. I don’t see any Board-puppeting in the decision to rename and relaunch the GC search or in the finalists who were chosen. The VP for Communication’s job is to make the President and the other administrators look good. If some of that spills over on the university it’s just coincidental. 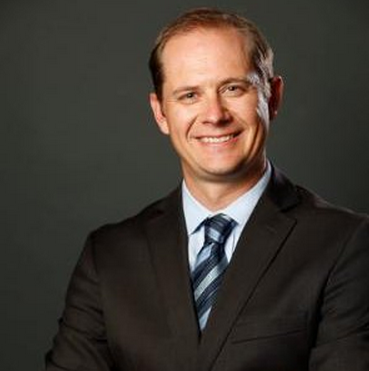 Your university hired a Vice President for Communications without a public search? To improve transparency? Classic. So it seems. I’ve made a public records request for the search documents.